No, no. Not on ‘acid’ or any other mind altering substances. I am in Perth, dummy! Capital city of WA, a.k.a. Western Australia. And I love it here. I thought colorful parrots are animals that you only see in the forest or in the zoo. But I was wrong. In Perth lovely green parrots fly around in the city center. Those buggas are a native species of WA. And there are plenty of other interesting birds flying around. Whilst on the subject of birds. There is another ‘birdy oddity’ in Perth. Here the swans are not white, but black. There is a deeper connection between Perth and swans. For instance, there is the Swan valley with the Swan river flowing through Perth. And I also saw bronze swan statues in the city center. 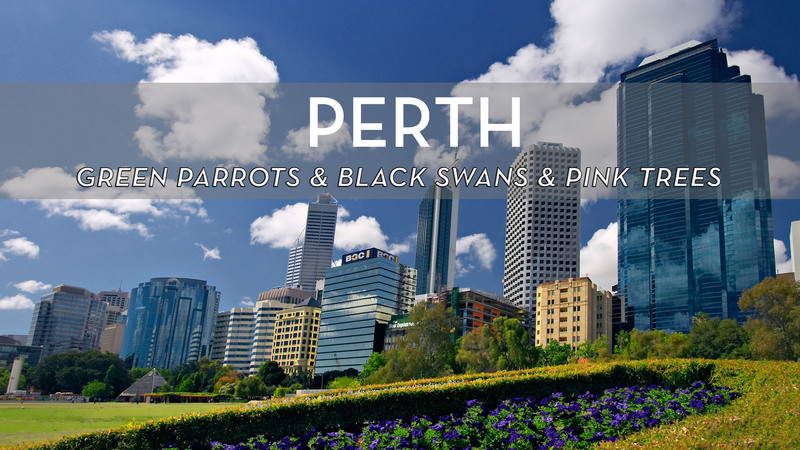 Since I am neither into ontology nor into folklore & history, I did not further explore the connection between Perth and the swans. 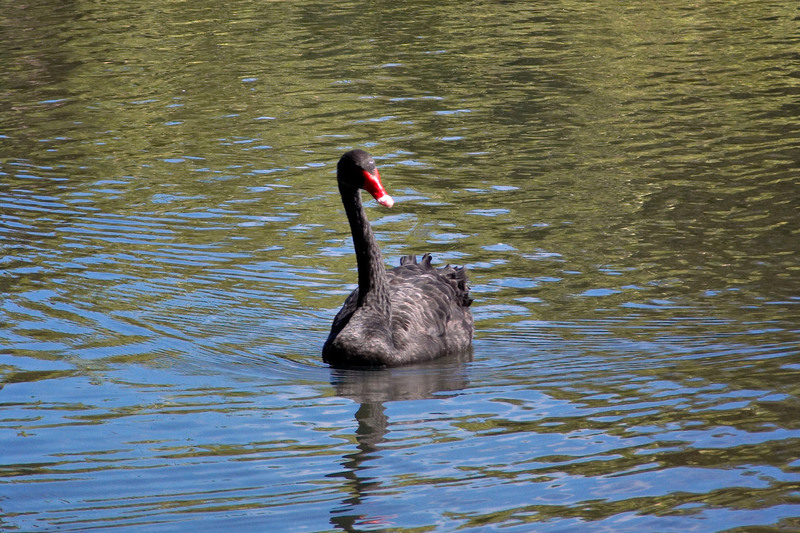 the famous black swan ! 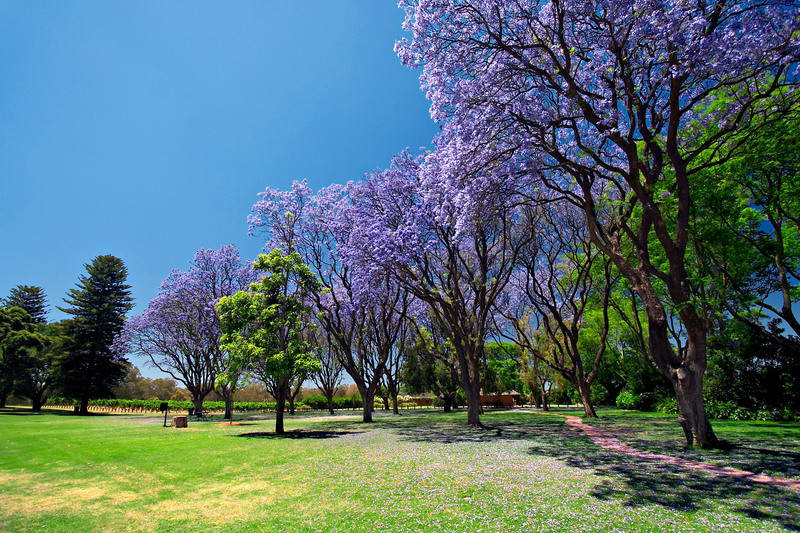 The definite highlight in terms of new colorful things and beings around me was the Jacaranda tree. We don’t have those either in Europe nor here in my adopted home of Bali. So it was my first encounter with this magnificent tree. 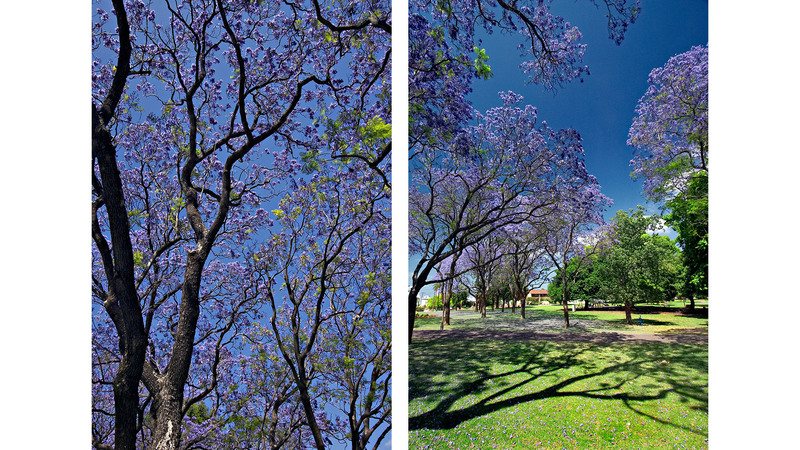 A Jacaranda in full bloom is quite a sight, I can tell you. I was lucky ! Those trees were all in full bloom. And there are plenty of them in and around Perth. Their blooms can be so dense that if you are sitting under one of those trees things around you have a slight pink violet tint. As if illuminated by a pinkish light source. As a photographer a fascinating phenomenon. It also reminded me of my younger days when various legit and less legit substances occasionally tinted my vision. Blue skies beyond believe ! While on the topic of colors and hues. The blue skies I experienced in and around Perth and Fremantle blew me away. I am a great fan of deep blue skies in my photographs. And I have a few tricks up my sleeve on amplifying those blues when I edit my photographs. But the blue skies of WA need no amplification. I have never before and never afterward seen places where the sky can be as blue as in WA. And I have no scientific explanation as to why it is so. Perth & Freo are blessed with nice winds that keep its air clean. Me had those blue skies for the entire 2 weeks I was in Perth & Fremantle. No haze and great visibility all the time. 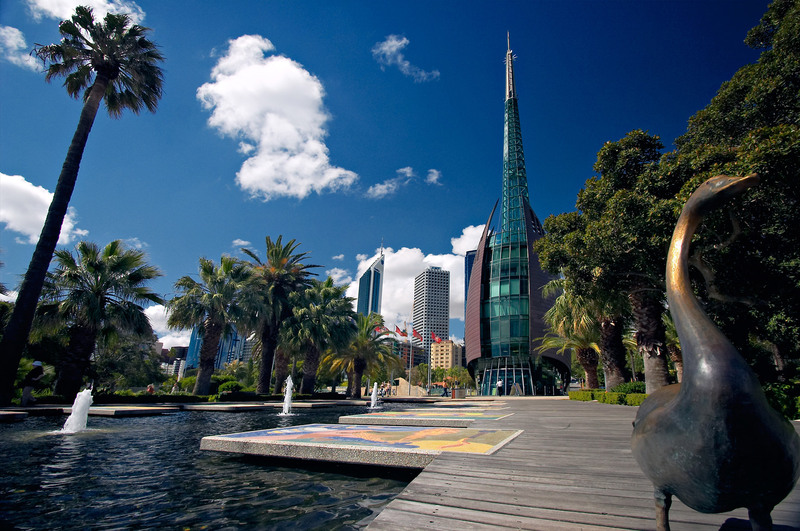 In the first few days of my visit to WA I stayed quite close to the city center of Perth. From there I explored the city on foot. 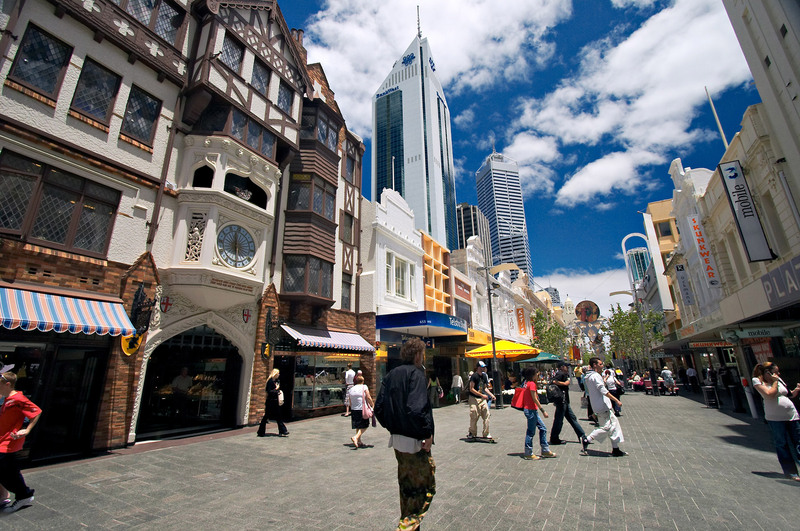 Perth is indeed perfect to walk around. Big kudos to the city administration of Perth for allowing free rides on all public, inner-city buses. Which made this great place even more accessible for me. I immediately fell in love with Perth’s parks. Just beautiful. All with free access, well maintained and surprisingly empty during weekdays. Oasis of tranquility and lovely places to chill out. The definite highlight of those parks must be Kings Park. The world’s largest inner-city park I was told. And this Wikipedia article confirms this. It’s much larger than New York’s famous Central Park. Upon entering the park it feels just like another inner-city park. But once you leave that frontal area and you enter into the Botanical Gardens you are taken into a different world. They have managed to bring a part of the famous Aussie outback into a park. 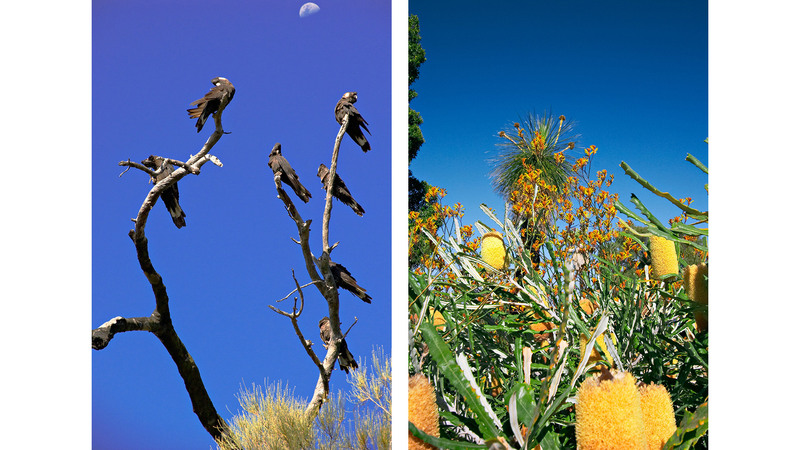 Interestingly, some sources say that King’s Park is WA’s most popular visitor destination. Sounds ‘very touristy’ and packed with people, doesn’t it ? The way I experienced it though was quite the opposite. While the front part of the park it was quite crowded, in the Botanical gardens which are also part of the park, I hardly saw anyone. 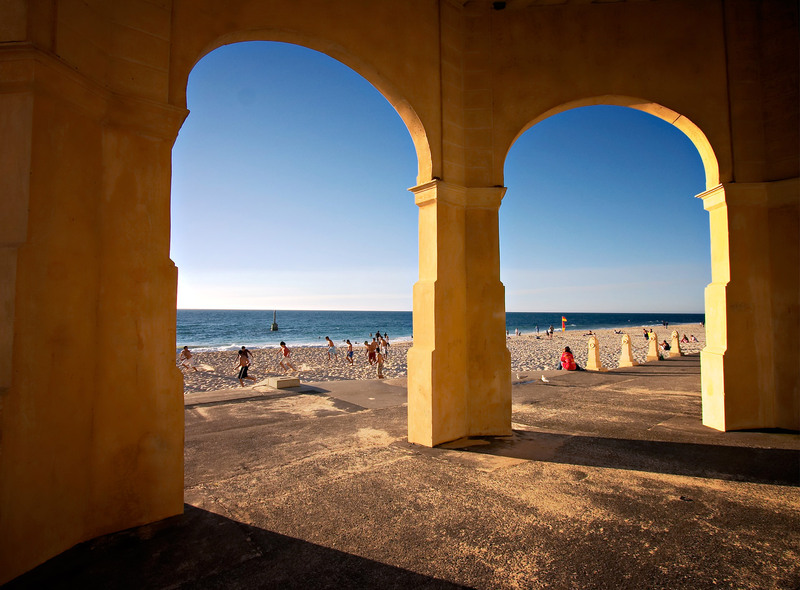 During the 2nd half of my visit I moved to Fremantle, or Freo as it is affectionately called. Perth and Freo are kinda one. Calling Freo a suburb of Perth would not do this place justice. But calling it a city in its own right is also not correct. Who cares. 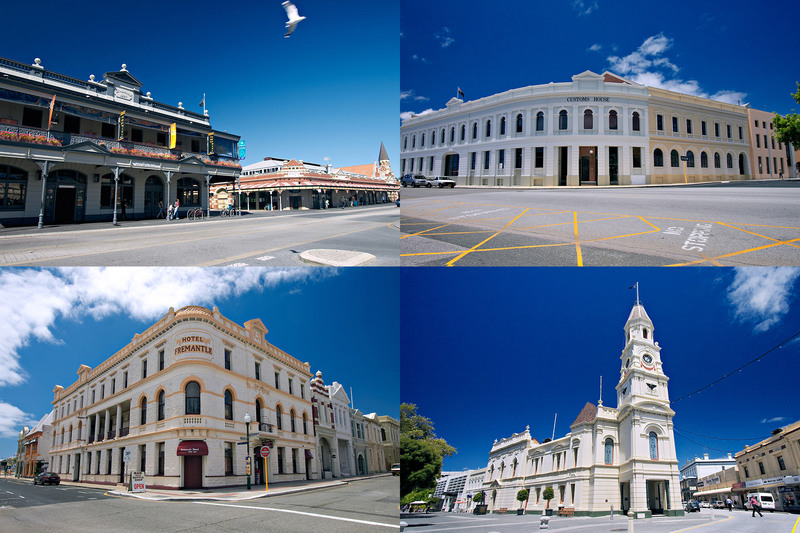 Freo, has a more laid-back feel to it and the absence of tall buildings make it feel less city-ish than Perth. I had the great pleasure to stay with my dear friend John Davies and his family from 21st Century Video Productions . He and his lovely family were a great host. From them I borrowed a bicycle with which I cruised all over Freo. 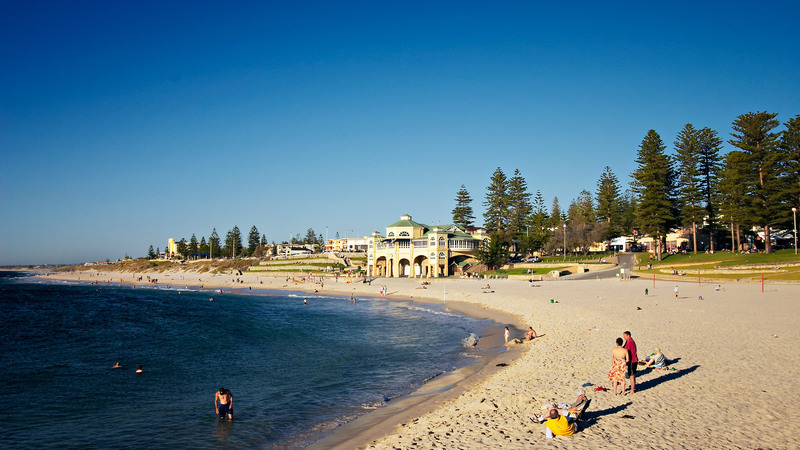 Both, Perth and Freemantle have beautiful beaches. And it is not uncommon for the locals to go from work directly to the beach or vice versa. If you happen to be in WA make sure to bring a circular polarizer and use it throughout the daytime. 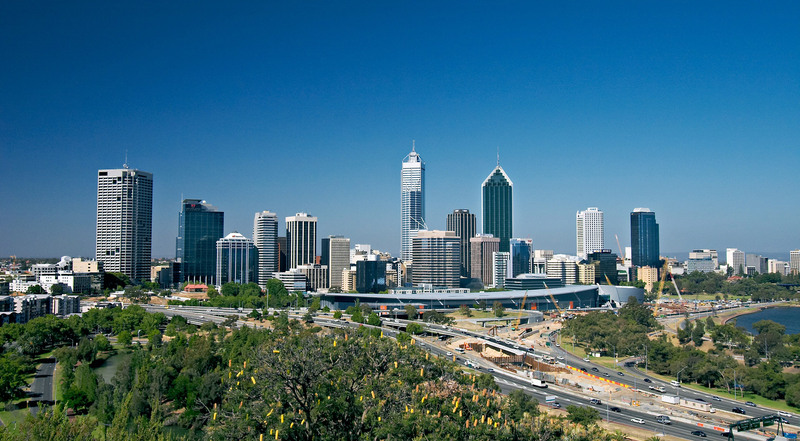 I would say Perth n Freo are definitely places ideally suited for a wide-angle or even an ULTRA-WIDE lens. I was mainly using my 10-22 EF-S lens on APS-C sensor camera. And if you can, bring also a tele-lens. Anything above 135 should be nice. Why ? Coz there are those colorful birds, which I could not photograph as I did not bring any tele-lens. Post pro was done in Capture One and Photoshop. Why Capture One ? Firstly, because it’s a great RAW converter, and secondly, there was no Lightroom at the time when I made these photographs. I have to admit I have only seen a tiny fraction of WA. That is Perth, Fremantle and a bit of the Swan valley. And I loved it to bits. Since Perth is only a 3 hours plane ride from Bali I will for sure return one day and hope to see more. A selfie from pre-selfie times.